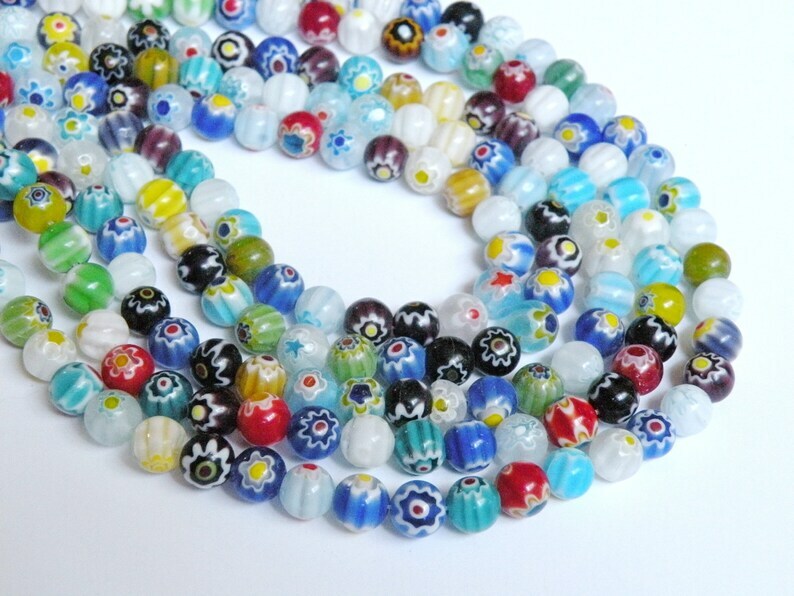 Adorable multicolored Millefiori glass round beads with colorful flowers in various shades of blue, green, white, orange, red, yellow, black and purple. Millefiori is Italian for "one thousand flowers." Each bead is unique and features a flower on two sides.